Today is Aldo's second day and he was pretty excited after our walk which I will write about in a different post, but essentially, he wanted to do some sort of exercise, but is pretty out of shape, so I said let's walk, and we mapped out a path around a bunch of city blocks and we went for about 40 minutes and 4,000 steps. When he weighed himself today, he was shocked, I was too frankly. He lost practically 2 pounds of body weight and 1% of body fat. He went from 197.3lbs yesterday to 195.4lbs today and 23.6% body fat yesterday to 22.5% body fat today. And that was with having 2 nice big sandwiches of mostly fresh vegetables, whole grain bread and a little protein, which were so filling that he said that there is no way that he will lose weight. He also had a snack of yogurt, fruit and nuts. I told him to just have the meals that I am setting up and that I want him to be eating more, not less, but not after 8pm. He told me that in fact, he had eaten more yesterday than he usually does. What was the difference? Usually, he would skip breakfast and not eat until midday, then he would have some fruit or vegetable juice hoping that that would help him lose weight. Then in the evening he would have a sandwich or some chicken dish at the cafe and by 9 or 10 he was still snacking….usually until midnight, sometimes snacking on nuts, fruit, cookies and in the worst of times, ice cream. The difference was that I had Aldo eat earlier in the day, I want to keep his eating within the boundaries of 8am and 8pm, and by eating earlier and finishing earlier in the evening, it will make it easier on his body to digest his food, get a good sleep and by eating regularly, his body will not think that it is in starvation mode and will gladly let go of it's fat stores. And clearly, that is what happened and why he had such a good day yesterday. He felt better, got a good sleep, and got a good start today. I do not expect that he will be losing at the same rate going forward, but between yesterday and today, it was a great start and he is very psyched. 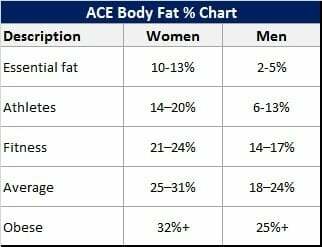 I will continue to post the ideal body fat percentage chart. Today as well, I am going to have him do some pushups and squats without weights. I will speak more about walking in another post. For breakfast today, I treated Aldo to an original Hashi Mashi made by me, 3 egg whites, a whole egg, spinach, pepper, onion, humus and avocado with two slices of toasted whole grain bread. For a snack, I showed him how easy it is to make a very satisfying fruit salad, just put blueberries, raspberries, pineapple, watermelon, banana in serving bowl. Add a cup of chobani plain yogurt, a teaspoon of honey and a tablespoon of peanutbutter, handful of almonds and walnuts. Mix it all up, and voila, believe me it is very refreshing, and definitely alot healthier than a ben and jerry's ice cream mix in like vanilla heath bar crunch. Aldo told me that in fact, he did not feel that hungry and he wanted to know if he should just skip the snack and dinner altogether. I told him no, he should eat real food, every few hours, so this way his body will know that it can safely release fat stores. For dinner tonight, he is going to make the turkey sandwich that I showed him yesterday. And he is going to do the pushups and squats as I showed him yesterday. He will do 5 sets of 1 pushup, 2 if he can do more, and 5 sets of 5 squats, 6 if he can do more. My bet is that if he has dinner at 630 or 7, finishes eating by 8am latest, earlier is even better, and that he drinks enough water (so that his body does not hold onto water), my bet is that he will see another drop in weight tomorrow. Are you on a new plan to lose weight, get fit? Are you going to follow along with Aldo? If you are, please let us know so we can all encourage each other and get any new ideas to be successful by March 31, 2014, our first goal date for this year.